bit of plastic that has ever been created still exists. The Water Bottle® exists to provide premium filtered water in a more environmentally and economically friendly way. Distributing water directly from the source to consumers provides a fresher and superior product with less waste, less energy consumed, and less carbon dioxide produced. The results? Savings for the environment and families' bottom lines. PLASTIC BOTTLE IS 450 YEARS. Recycling is not a sustainable solution to the crisis. The continued creation of more disposable plastic packaging only creates more waste. 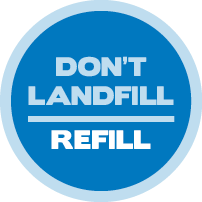 Plastic is not only expensive to recycle, most disposable plastic water bottles can only be down cycled, are incinerated, or typically are thrown into landfills in our backyards and littered in our oceans. These items are used for seconds, hours, or days, but their remains last forever. Plastic pollution is not only in the ocean - it is in our deserts, our homes, and our communities. The total impact and cost of just one water bottle is equivalent to filling it one quarter full of oil. That's the amount of energy it takes to produce the plastic bottle, fill it, process the water, and transport it to you. It is calculated that the 30 billion water bottles consumed each year in the U.S. use the equivalent of 17 million barrels of oil. That's enough to keep 1 million cars on our roads for a year. Why is plastic such a bad deal? 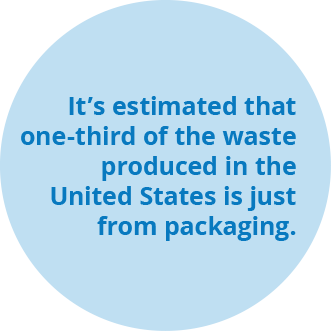 Once believed to be a great packaging solution with low manufacturing costs, disposable plastics have left a huge, largely unrecycled and toxic pile behind.